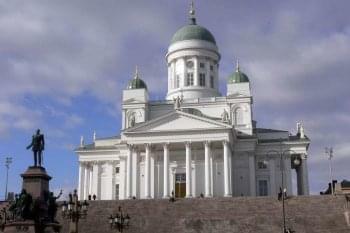 12 day panoramic tour of the Eastern Baltic seacoast from Vilnius to Helsinki including Riga, Tallinn and St Petersburg. Eastern Baltic is the area of huge heritage sites, great nature sights and places must see for almost everybody in the world. In this tour we combined together all major highlights of Lithuania, Latvia, Estonia, St Petersburg area and Helsinki. Great opportunity to see all the area in one tour. Day 1: Arrival to Vilnius. Accommodation in a hotel of your choice. An afternoon tour of Vilnius. Day 2: Morning trip to Trakai, afternoon free. Day 3: Departure to Klaipeda, visit to Palanga. 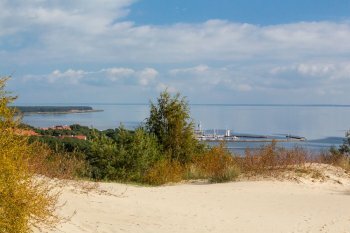 Day 4: Cross over to Curonian Spit, a trip to Nida. Day 5: Departure to Riga, the capital of Latvia with an en route stop at the Hill of Crosses. Day 6: Walking tour of the Old Town of Riga, free afternoon. Day 7: Morning drive alongside Riga Bay takes you to Tallinn, the capital of Estonia. An afternoon city tour of Tallinn. Day 8: Morning tour of Tallinn and afternoon visit to Rocca al Mare Ethnographic Museum. Day 9: Drive to St. Petersburg. Day 10: Morning tour of St. Petersburg, visit to St. Isaac’s Cathedral in the afternoon. Day 11: Excursion to Hermitage housing following a visit Catherine’s Palace and Park in Pushkin. Day 12: Train ride to Helsinki and tour of the city. 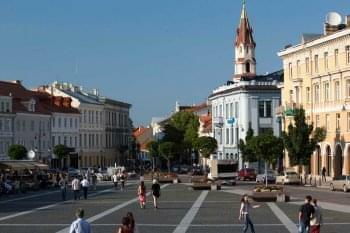 Day 1: Upon arrival in Vilnius, transfer to your hotel for accommodation. 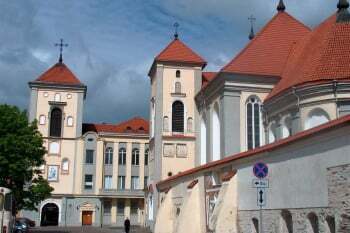 An afternoon tour of the Old Town of Vilnius includes its main attractions: the Cathedral, St. Anne’s Church, the Gate of Dawn with its miraculous icon of The Virgin Mary, Town Hall Square and Vilnius University – one of the oldest universities in Eastern Europe. Day 2: Morning tour to Trakai, the ancient capital of Lithuania, now famous for its 15th century Gothic Castle housing an exhibition on prehistoric artifacts and 17th-18th century applied arts, depicting the way of life of the Lithuanian Grand Dukes, nobles, tartars and Karaites, a Judaic sect who arrived from Crimea in the end of 14th century. Day 3: Morning drive to Klaipeda, Lithuania’s window to the Baltic Sea. En route, visit to the Amber Museum in Palanga, Lithuania’s prime sea resort just 25 km away from Klaipeda. The Museum explains the fascinating formation, processing, practical application, and the structural variations of amber. The Museum has a wealthy collection of amber pieces with trapped insects or plants dating back millions of years, as well as collection of unique pieces of amber and examples of fossilized tree resin brought from all over the world. Overnight in Klaipeda. Day 4: Short ferry crossing takes you to the Curonian Spit, a UNESCO World Heritage site and the National Park. Sightseeing includes a walk on the Hill of Witches exhibiting wooden sculptures based on Lithuanian legends and folk tales, an excursion to Nida, a small quiet fishing village famous for its majestic sand dunes, some even up to 60 meters high, visiting the famous German writer Thomas Mann’s House, a neo-Gothic Church, an old ethnographic cemetery and a private Amber Gallery. Day 5: Departure to Riga with an en route stop at the Hill of Crosses - Lithuania's national pilgrimage site. Hundreds of thousands of crosses situated on a small hill represent Christian devotion and a memorial to Lithuanian national identity. Afternoon arrival to Riga with enough time to settle in at your hotel. Day 6: Morning tour of the Old Town of Riga encompasses the most significant sights of Riga - the Dome Cathedral, the Church of St. Peter, the old Guild Houses, the Swedish Gate, and the architectural ensemble of Three Brothers, St. Jacob’s Church, the Parliament House, and the Old Riga Castle. The tour will then continue along the central boulevards of Riga, passing by the City Canal parks, the Bastion Hill, the Powder Tower, the Latvian National Theatre, the Fine Arts Museum, the Art Nouveau buildings dating to the beginning of the century, the Freedom Monument, University of Latvia, the Opera House, and the Daugava River with its bridges. Day 7: Drive alongside Riga Bay to Tallinn. 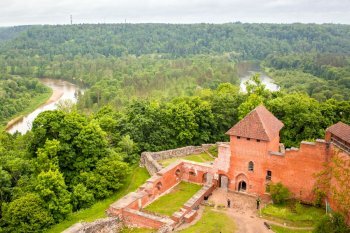 En route stop at the picturesque Gauja National Park for a visit to the ruins of the 13th century Turaida Castle, now housing a local History Museum with Gutmanis cave, the largest cave in Latvia steeped in legends and tales, and other notable landmarks. Late afternoon arrival to Estonia’s capital Tallinn. 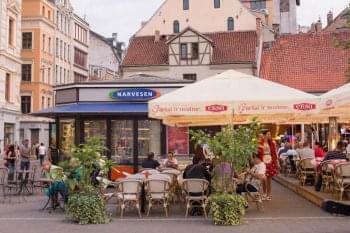 Day 8: Half day city tour takes you to the surroundings of Tallinn and its Old Town. Among other attractions, it includes a visit to Catherine’s Valley Park and Palace, the Song Festival Amphitheatre, the traditional “Old Songs Festival” venue for the past 120 years. You’ll see Tallinn’s most important attractions: Toompea Hill and the Parliament building, Alexander Nevsky Cathedral, Tall Hermann, Kiek in de Kök and Dome Cathedral. The tour ends in Town Hall Square with a view of the Town Hall, a Gothic masterpiece of 13th - 14th centuries. An afternoon visit to the Rocca-al-Mare Ethnographic Museum. 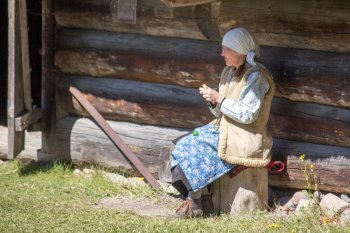 Located in a picturesque 84 - hectare forest park, the museum has assembled a fine collection of 17th - 19th century rural architecture from all over Estonia. Farmhouses, country pubs, windmills, and chapels are displayed and furnished in harmony with period styles. Day 9: Drive via Narva brings you to the Estonian border where you cross Russian boarder and continue on to St Petersburg. Day 10: In the morning, a general tour of St. Petersburg includes visiting the outstanding architectural monuments such as the Palace Square and Alexander’s Column, the Senate Square, Mariinsky Palace, the Spit (Strelka) of the Basil Island with Rostral Columns, the numerous bridges and granite-clad embankments criss-crossing the city in many directions. The tour continues along the fantastic Nevsky Prospect, the main thoroughfare of the city, lined with countless historical buildings, palaces and cathedrals. In the afternoon, visit to St. Isaac’s Cathedral filled with hundreds of paintings, sculptures and mosaics by 19th century masters, Peter and Paul Fortress, the historical centre of the city on the Neva river as well as one of the most interesting and beautiful architectural landmarks. Day 11: Morning visit to the Hermitage housing a tremendous collection of Western European art, including such masters as Leonardo da Vinci and Raphael. 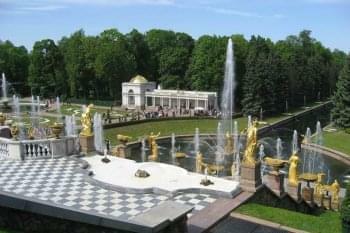 Afternoon tour takes you to Catherine’s Palace and Park in Pushkin. 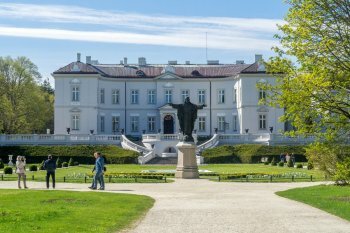 The Museum encompasses the 250-year history of this famous monument, and makes visitors aware of the work of the architects who participated in its construction and decoration in 18th and 19th centuries. Day 12: Early morning transfer to the railway station for the train to Helsinki. 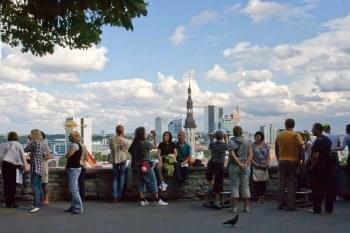 Upon arrival, transfer to your hotel with a guided sightseeing tour of Helsinki showing the most important sights: the Opera, Finlandia Hall, the Senate and Market Squares, broad boulevards and the domed Russian Orthodox Cathedral.